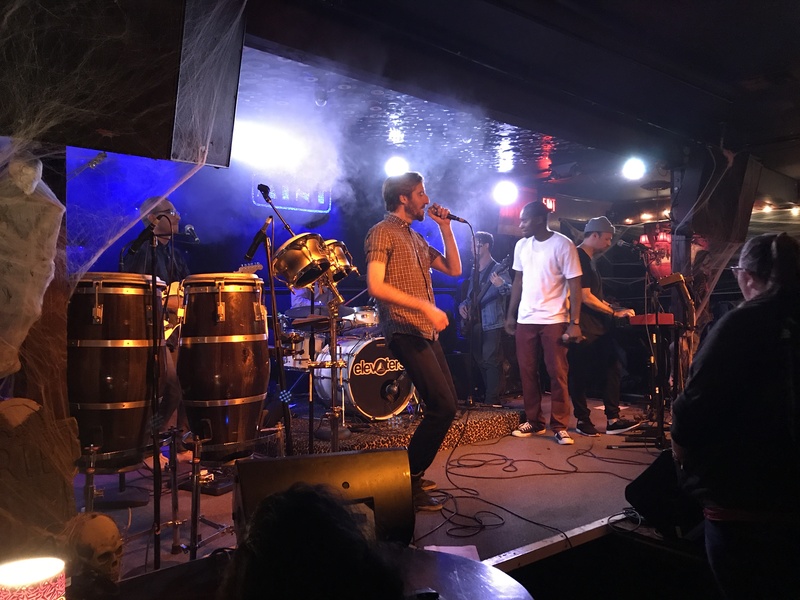 Los Angeles-based hip-hop, soul and dance group The Elevaters reunited for an intimate show at The Mint LA on Saturday night. 10/28/2017. The feel-good band of dudes behind the Elevaters brought their infectious dance, hip-hop and soul funk sound to the Mint in Los Angeles last Saturday night — and it felt good. Ten years since the release of their debut album Rising, the Elevaters reunited for one rare night in October. The Los Angeles-based group has quietly been residing around Los Angeles and San Francisco for the past couple of years (comprised of songwriters Sam Golzari and Benjamin Hall, producer/multi-instrumentalist David Noily and emcee Miles Gregley). Their raw energy, infectious tunes and heartfelt songs about “Patience,” being there for your loved ones, having a good time or their own spin on a “Daft Punk Tribute” has stuck with me all these years. Though they haven’t been an active group releasing new tunes on the daily, it was definitely special to see these guys doing what they do and doing it just because they love it. As frontman Sam Golzari mentioned, they’re not trying to put out the next best hit or go viral. Their music speaks for itself. I thought I’d never have the chance to see them live. When I heard they were playing a show in Los Angeles, I knew I couldn’t miss it.